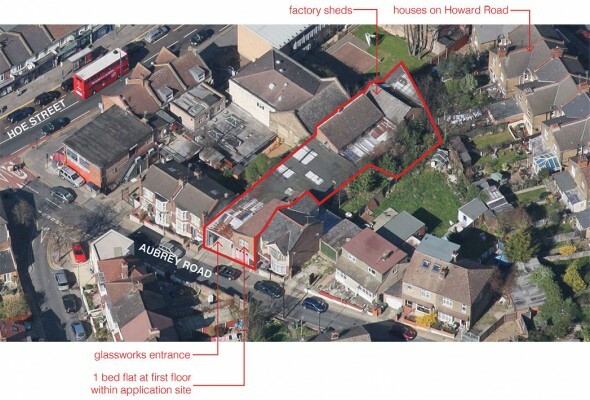 A new development of six residential units within an existing glass fabrication yard in Walthamstow, London. 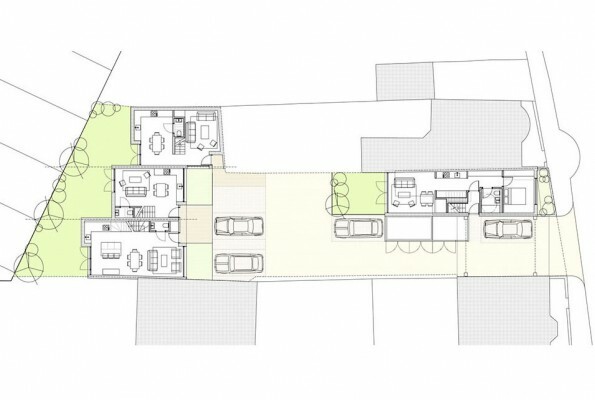 The residential block along the street frontage is articulated as two building masses that step in both height and footprint to align with and replicate the existing street rhythm. 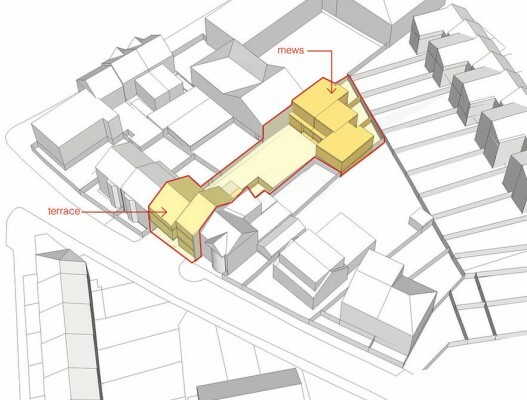 The two store mews houses within the site are staggered responding to the angled rear site boundary and ensuring overlooking distances between neighbouring properties are maintained and generous private gardens are created.